There are just too many creepy places in America for any top lists. We may not have the long history as some countries, however our history is just as violent. So let us explore a few places that crank up the creep factor to 11. We have everything from murder to medical, from an axe murder to a cemetery; you are sure to find something to send chills up your spine. So grab your equipment you ghost hunters and lets go exploring. On June 10, 1912, an intruder with an axe killed eight people as they slept in a small house in the town of Villisca, Iowa. The victims were a husband and wife along with their three young sons, and one daughter. Two other young children who were visiting were also among the dead. The murderer is unknown and was never caught. Some state that this house is haunted after seeing strange visions and hearing odd noises. If you are willing to find out, you can stay in this house overnight. If spending the night turns out to be too much for you to handle, there are also daylight tours. The 2016 movie The Axe Murders of Villisca is based on the murders. This place has it all. Comfort and spooky things. Staff who work in the kitchen next to the ballroom say they have heard a party going on when the room was empty. People claim to have seen a man standing over the bed then running away. Some claimed that this same apparition is responsible for stealing jewelery, watches and luggage. While others reported that they have seen ghosts in the middle of the night, just standing in their room then disappearing. Sometimes, people in the lobby can hear the piano playing from the ballroom. When checked to see whats going on, there would be nobody sitting in front of the piano. Make sure you look out for the young boy who hangs around room 1211. Who knows maybe the hotel’s owner, Mr. Stanley, will make his presence known by appearing to visitors in the lobby or billiards room. 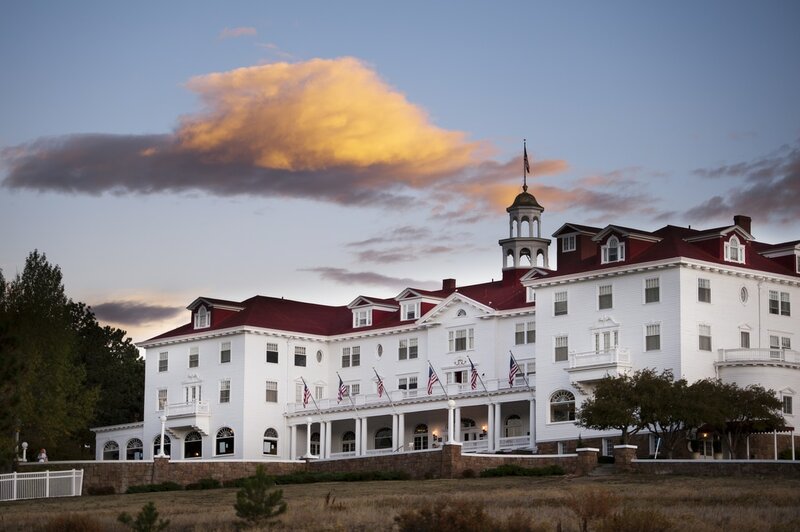 The historic ghost tour points out creepy and ghostly experiences that have taken place at the hotel. The tours are open to the public, reservations are required ahead of time. Yes kiddies Stephen King got the idea for The Shining after staying in the almost empty hotel on the night before it closed for an extended period. So book a stay at the “Overlook” Hotel. Might be a good idea to wear a pair of rubbers; just in case the blood gets deep. There are a variety of legends surrounding the Myrtles. The house is reputedly built over an Indian burial ground, and the ghost of a young Indian woman has been reported. During the Civil War, the house was ransacked by Union soldiers, and three were killed in the house. The old slave graveyard behind the outbuilding is as eerie as the main house is beautiful. Supposedly, there is a blood stain in a doorway, roughly the size of a human body, that will not come clean. This reminds me of the stain in my dining room. It isn’t blood, but the results of a stubborn bulldog. This 200+ year plantation is incredibly beautiful and, as some may say, quite haunted. In addition to the beauty of the location, the stories of love and death that occurred at the plantation are enough to create a draw to the plantation. When you mix in the different stories of ghostly encounters and unexplainable photographs, it creates quite the creepy locale. There are historic tours and mystery tours available. Located in the southwest suburbs of Chicago, Illinois, this cemetery exists peacefully in the Rubio Woods. At first glance, it looks like a small, unimportant cemetery. The chain link fence which once protected it from outsiders is broken, a big hole penetrating the protective metal. The cemetery itself is broken down, suffering from years of vandalism and trespassing. Some gravestones are dismantled. Although this sounds like an innocent, unimportant cemetery, its past is shrouded in despair terror and death. A small quiet pond sits in the northwest corner of the cemetery. The Mob used it as dumping grounds in the 1920s and 1930s. They officially stopped burying the dead in the 1960s. Since that time, people have reported many sightings, making Bachelor’s Grove the most haunted cemetery in the United States. Many of those sightings are seen near the pond. Sightings include a ghost called the White Lady. Clad in white, she roams the graves looking for her lost baby. Other sightings include orbs, a two-headed man, a farmer plowing with a horse, black ghost dog and a ghost farmhouse. Bachelor’s Grove is truly the spookiest haunting grounds in the United States. 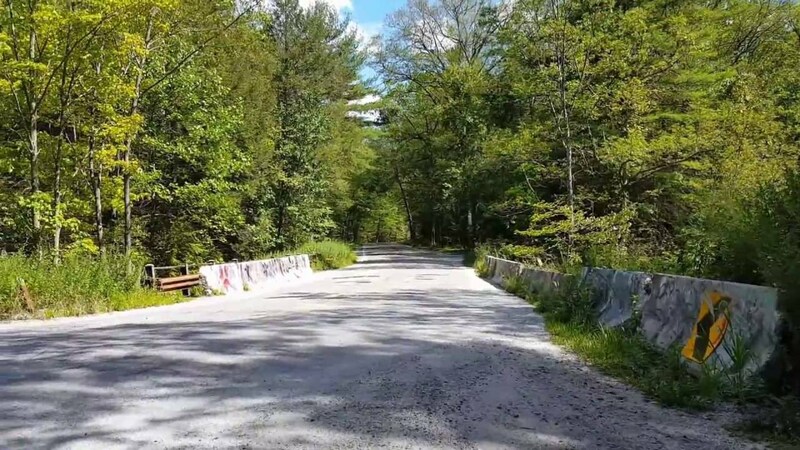 Clinton Road has been said to be the "most haunted road in America." Drivers along the 10-mile stretch have reported everything from strangely dressed wanderers, to ghosts, to evidence of satanic rituals, to phantom trucks that chase them to its end. The strip of road also features, naturally, a dead man's curve. Take extra caution at the Ghost Boy Bridge, it's said that the spirit of a little boy who lives underneath it will do his best to draw you into the water. For you Serial Killer buffs, this road is where they found the body with ice crystals in the blood around the heart. The investigation ultimately led to the 1986 arrest of "The Iceman" aka Richard Kuklinski. 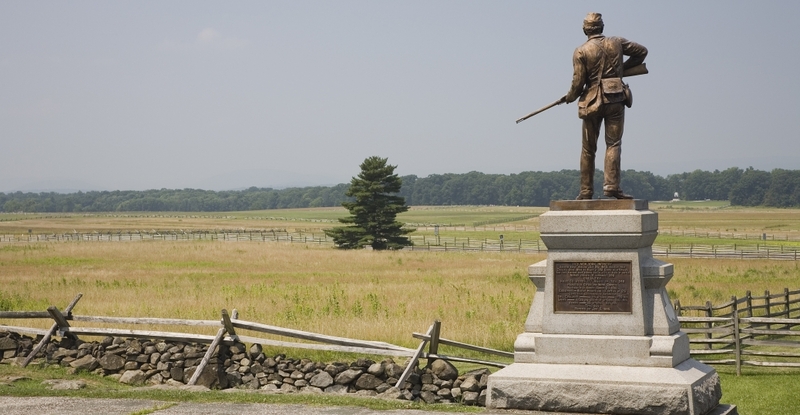 As the site of one of the Civil War's bloodiest battles, Gettysburg stands the test of time as one of the most haunted places in America. Over 50,000 soldiers from the Union and Confederate armies were killed and their ghosts are still seen and heard by tourists in the field and town. You can visit the field where the largest artillery bombardment of the war, Cemetery Hill, Cemetery Ridge, Culp’s Hill, and the meat grinder that was Pickett's Charge. Most of the battleground saw some combat in one form or another. Visitors also claim to hear the thunder of canons, gunfire and screams and moans of the battle's victims. Devil's Den, a rock formation where dozens of bodies and limbs were discovered after the war, is a popular spot for tourists seeking a ghostly encounter in this historic area. There are too many stories to list, but a simple search will give you pages of information to curb the macabre carvings. There are both personal and private tours of the whole park. It is open year round except for holidays. Nestled in the hills of West Virginia is a former state hospital for the mentally insane that is part history site, part hotbed of paranormal activity. Ghosts of Civil War soldiers and former patients are said to be walking through the two and half miles of hallways. Visitors claim to see things move or feel the presence of spirits. Most ghost hunting shows have visited this site. This is the largest hand-cut stone building in North America, this mammoth granite structure was constructed in 1858. The asylum originally housed 250 residents at a time, but at its peak in the 1950s, more than 2,000 patients called this place home. Trans-Alleghany stopped treating patients in 1994. However for the truly brave thrill seekers, they can roam the halls on any number of special guided tours including a night-time flashlight ghost hunting experience. I am partial to the Halloween masquerade party. While the criminally insane tour will fill your craving for the macabre. Ever want to step back in time to see how it was to be locked up in a old stone prison. 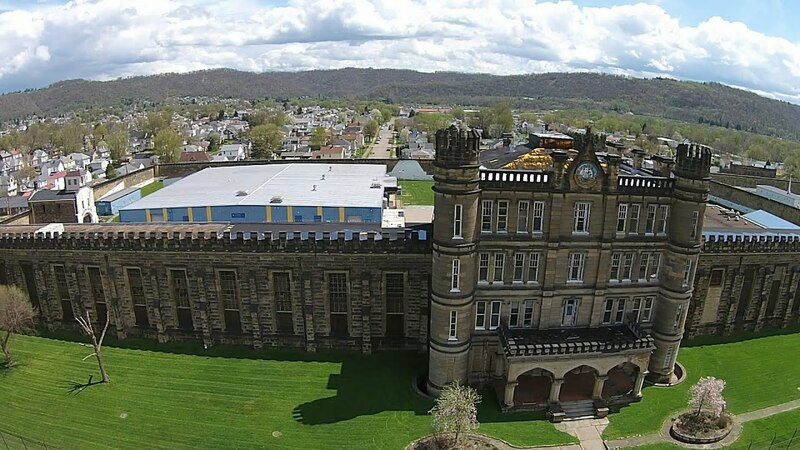 The largest building in Moundsville WV., it is estimated that one thousand inmates died while being incarcerated at this fearsome, Gothic style prison. Some died of natural causes or from inmate violence, but over the course of the penitentiary's history, 94 men were put to death since the first executions began in 1899. Less than 500 inmates were housed in the facility when it opened in 1866. But by the 1930s, its population was exceeded 2,400. Today, many ghosts are said to be lurking the halls, but the most famous is the Shadow Man. Visitors have also claimed to see the ghost of a maintenance man who was stabbed to death by prisoners in the basement for snitching to prison guards about inmate activity. Historical tours begin just after sun set, leading guests through the haunted prison by nightfall. The site where John Bell and his family in Adams TN, were tormented by a ghost now known as the Bell Witch is open to brave visitors who wish to explore the spirit world. The legend varies, but most accounts claim that Kate Batts, a neighbour of the Bell family, believed she was cheated out of property in a land purchase in 1804. Kate died in 1817 and the strange things began to happen. Kate continued to torture the entire Bell family, physically abusing the youngest daughter Betsey, and cursing John. Many believe that when the witch departed, she fled to the sanctuary of this cave. Visitors claim that any object taken from the site is cursed, while many have reported encountering a violent force while on the property. President Grant when a General camped beside the property, and said he would never return after staying one night. Technology doesn’t work there either, with cameras mysteriously malfunctioning when users try to capture an image. The Mütter Museum, of the College of Physicians of Philadelphia, is home to two creepy floors full of preserved human specimens on racks, in glass cabinets and jars. They also have a number of medical tools that look more like torture devices included among the museum's vast array of fascinating, disturbing, and sometimes scary items. I included this one because where else can you go and have a few hundred dead people looking back at you. They're creepy and they're kooky. Mysterious and spooky. They're all together ooky. The Mütter Museum(sorry).